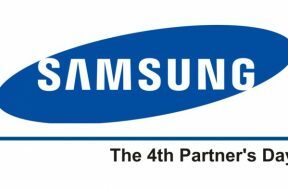 We’ve been highly appreciated and acknowledged by Samsung yet another time. During annual suppliers evaluation we obtained 96,8 points out of 100 and highest possible grade – A. 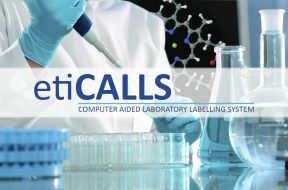 We are celebrating 25th birthday! 25 years have passed just like one day. 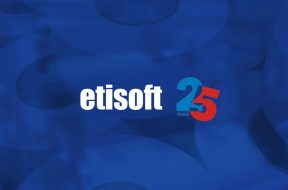 Next year, Etisoft celebrates a quarter-century of its existence! 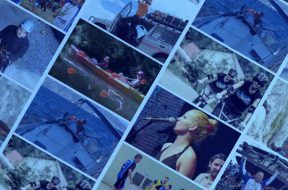 And to think that we started from one room in an office building at Łużycka street in Gliwice. We are bursting with pride! 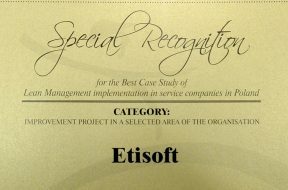 Etisoft turned out to be one of the top Polish companies with most dynamic development pace. 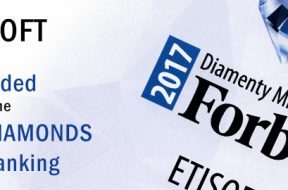 Once again our company was awarded with “Forbes’ Diamonds 2017” title, being ranked with 226. number from nationwide and 21. from Silesian organizations. 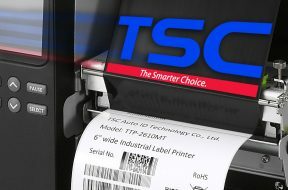 Durability and resistance of TSC printers means that they are suitable for 24-hour continuous operation. 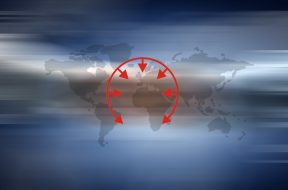 Further consolidation of customer deliveries as well as business talks were the occasion for a meeting of the consolidation team of Etisoft and Mac Arthur Corporation. 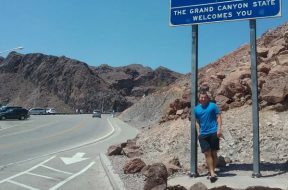 He would instantly name a few places in the Grand Canyon worth seeing, even though he plans to get there no sooner than just in a few months. 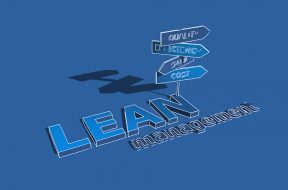 Can Lean be delegated?" Our colleague shared his knowledge at the Lean Management International Conference, having been invited by Lean Enterprise Institute Polska, working in close partnership with Etisoft. 32 companies’ owners or CEOs, mainly from automotive industry, were participating at the workshop. It’s owing to them that all personnel affairs work perfectly well in our company. Here is our HR department which has just been awarded for the best case study of Lean Management implementation in service companies and in the administrative departments of manufacturing companies! Half marathoners, short distance runners, Sunday joggers, Nordic walking trotters.